This marks an increase of 3.9% compared to September 2017 and is the 20th consecutive month that the airport has welcomed more than one million passengers. Amsterdam, Budapest, and Bucharest were amongst the most popular destinations, as passengers took advantage of the remaining days of the summer holiday season. 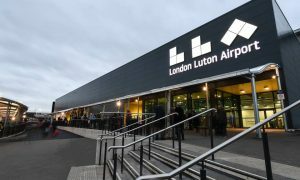 The growth comes as London Luton Airport nears the end of its transformation, which has seen the airport undergo a £160 million redevelopment to increase its annual capacity to 18 million passengers per year by 2020. As part on the transformation, the airport has doubled its retail and dining space in order to offer passengers more variety and welcomed 30 new stores, including Chanel, Oliver Bonas and Hugo Boss. The airport has also opened a new boarding pier to accommodate new routes from its airline partners, and added additional seating throughout the terminal.